CLOSEOUTS. 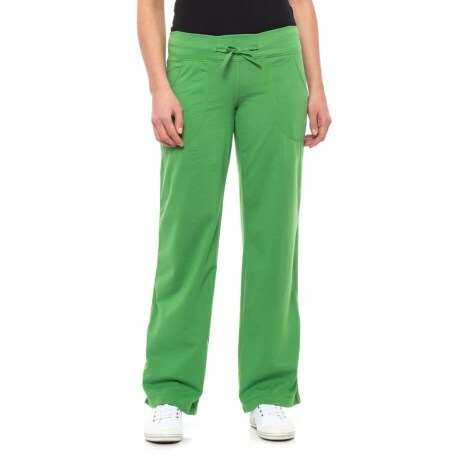 A touch of Nirvana for your wardrobe, Neon Buddhaand#39;s Johanna pants are stretchy, lightweight, and perfect for travel, work, home, yoga and you. Available Colors: TRAVEL GREEN. Sizes: S, M, L.